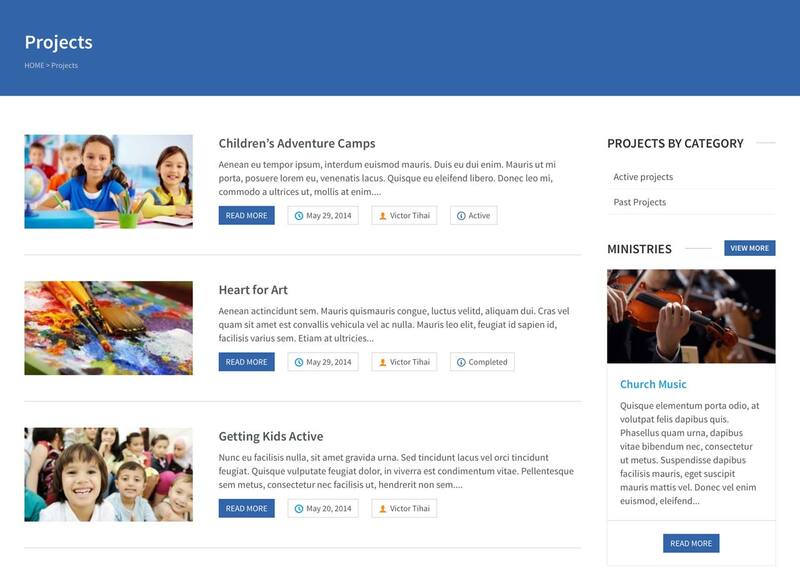 The Benevolence theme comes with two page templates to display Projects. To display either a list or grid of projects, first create a new page by selecting Pages → Add New from the main menu. You can name this page whatever you like, give it a header image, etc. 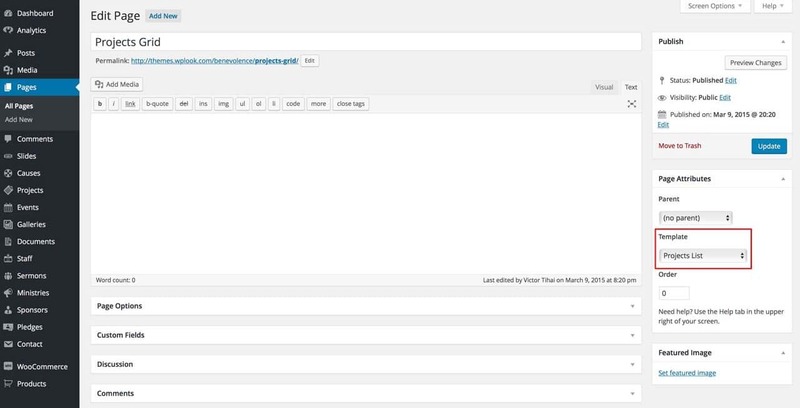 Importantly, select either Projects Grid or Projects List from the Template section of the Page Attributes box. Save the page. Your projects will now be displayed on that page. Add the page to a menu using Appearance → Menus, or link to it from elsewhere on your site, to make your projects page accessible to users.